This building was amazing in its original form. And it was still pretty awesome after the Philadelphia Electric Company made all sorts of changes. You'd agree, it's a shame that the building has been sitting in its current condition for all these years. But wait! If you visit this corner today (as we did), you'll notice that there's major change afoot. 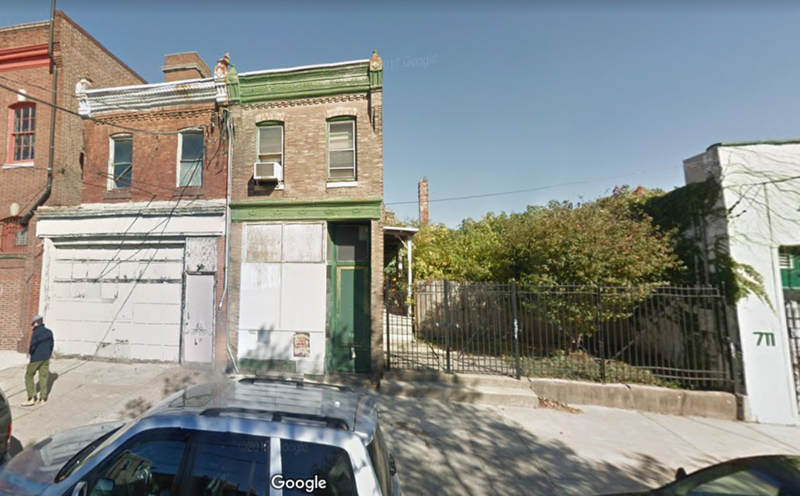 You can see in the first image, the building was listed for sale at the the end of last year, and predictably, new owners stepped in at the beginning of this year. 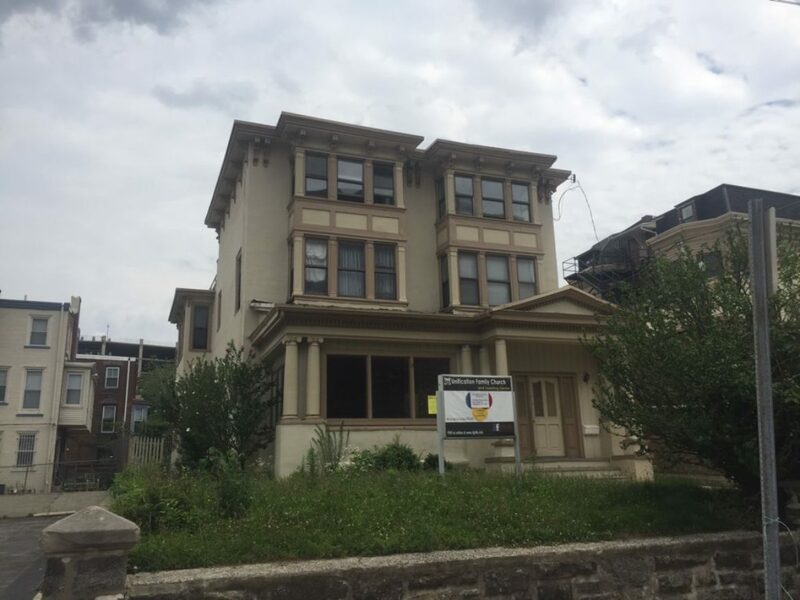 They paid a whopping $2.5M for the property, and now it appears they're taking steps to restore it to its former glory. They're slowly peeling off the awful cladding, revealing what's left of the building. 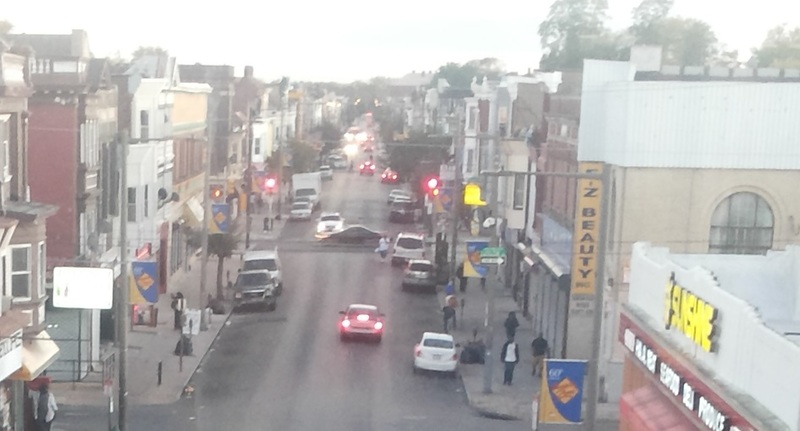 So far, we see part of a cornice and a Philadelphia Electric Company sign on the side of the building. According to a thread on the Urban PHL Facebook group, the new owners are going to work to bring the building back to the best possible facsimile of its former appearance and have plans to convert the first floor into retail space. We can't wait to see the progress they make in the short term, and we're especially excited to admire the finished product when they're done doing their thing. 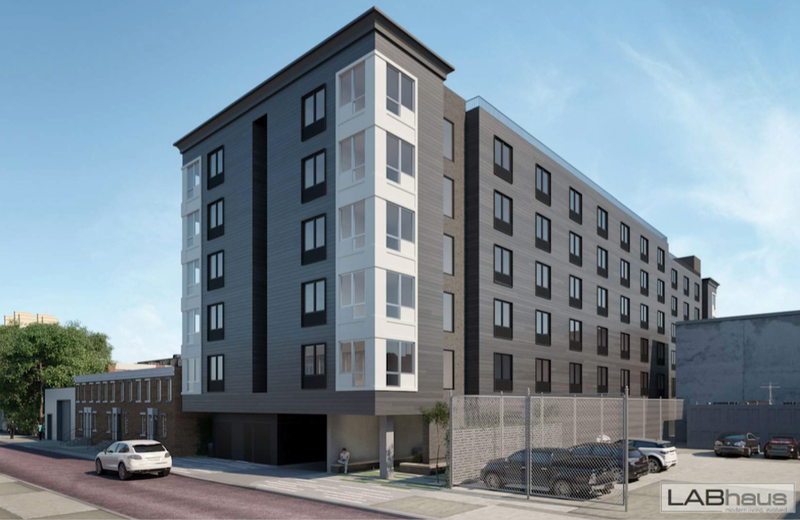 Earlier this month, we told you about a plan from Campus Apartments to demolish an attractive building at 123 S. 41st St. and build a 98 bed student housing building in its place. And we lamented that the new building wouldn't possibly hold a candle, architecturally, to the Italiante mansion that's been here for over a century. There's now a rendering posted at the property and you'd surely agree that, indeed, the plan for the new doesn't compare with the old. 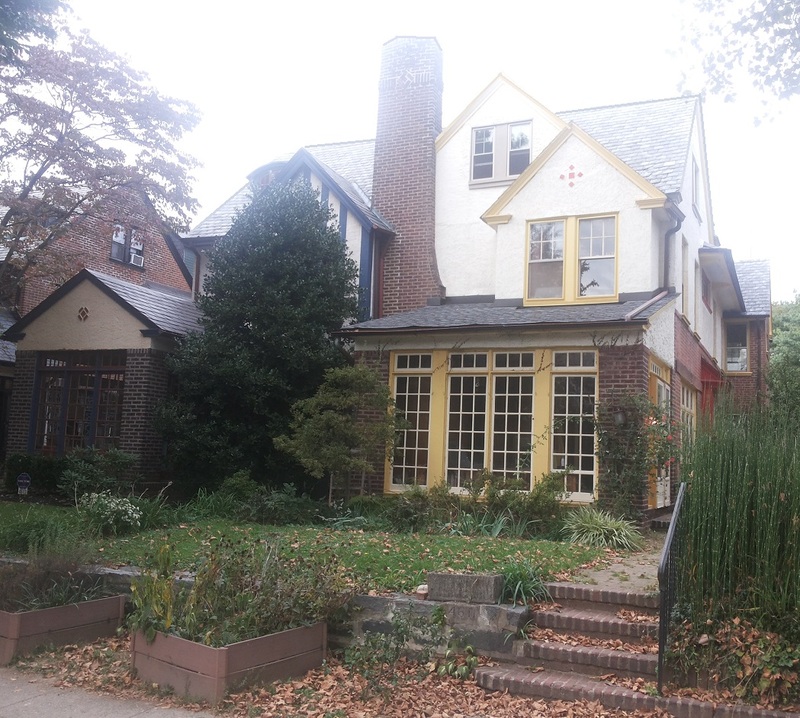 In our previous story, we expressed our frustration that this building was going to be demolished but indicated that we supported the developer's right to do so, given that the property isn't listed on the local historic register. 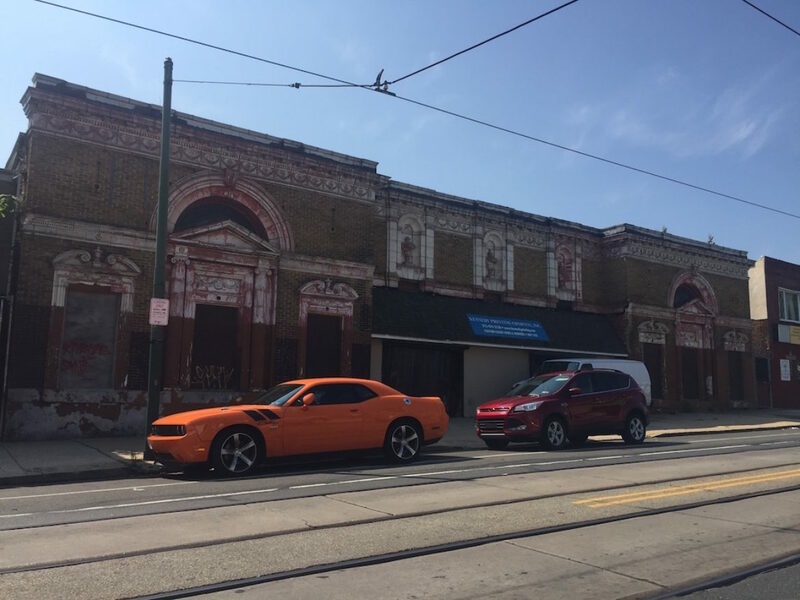 We would also impugn any effort to nominate this building to the register in a last minute attempt to prevent its redevelopment, as we'd consider that to be a violation of property rights. Instead, we argued for 1) increased funding for the Historical Commission so they can more proactively nominate buildings to the local register, and 2) the creation of development standards that would encourage developers to work with their architects to make the strongest effort when building in neighborhoods like Spruce Hill. 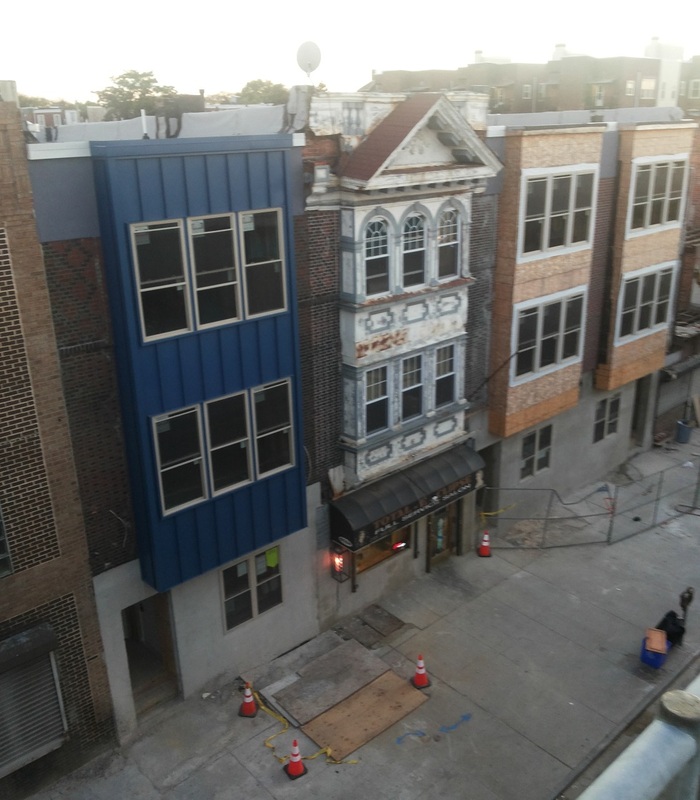 If you look just to the south of the Frank Furness building being slowly uncovered at 40th & Ludlow, just past a coffee shop and a Game of Thrones-themed dessert place, there's a row of vacant two-story buildings that seem entirely out of place. 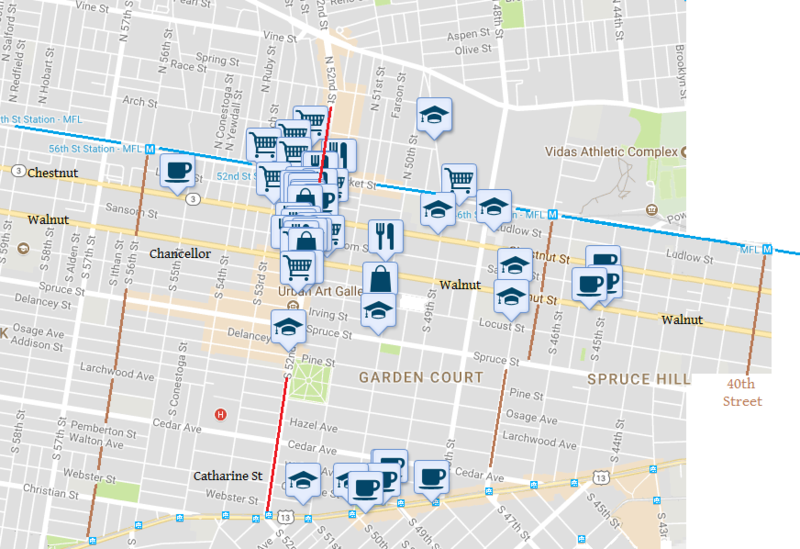 This is incredible- Penn is just a block to the south, how could the northwest corner of 40th & Chestnut be sitting vacant? And this isn't even a new situation- we wrote a story on these buildings way back in 2011, and pretty much nothing has changed since then. 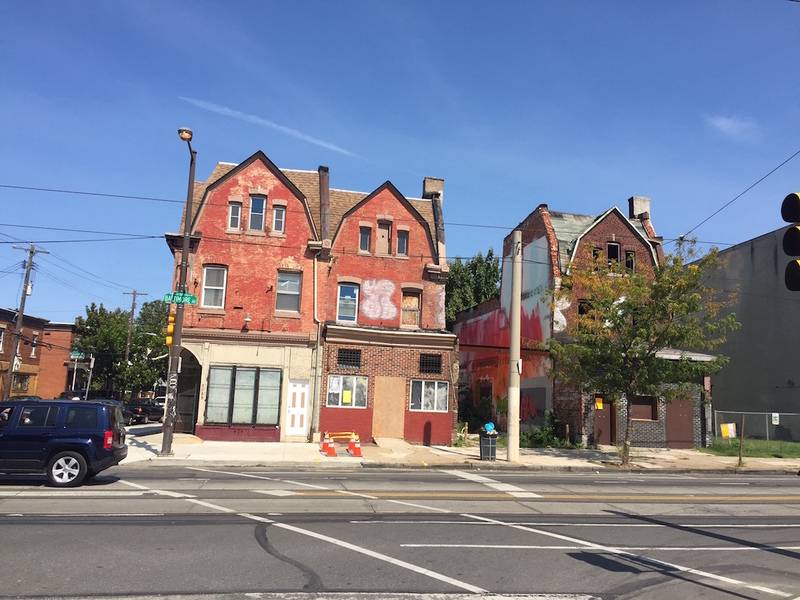 we explained that the buildings were sitting vacant because they were previously marked for demolition, with plans to build a student housing tower at the corner. In 2005, the Hub was built on the opposite corner, and the developers of that project had a deal in place with Penn to build a second tower on the northwest corner. But those plans hit a snag when the economy sunk in 2008, and they never moved forward. As you're probably aware, a second Hub tower was built a couple years ago, but it ended up getting built on the property to the east of the first Hub. We don't know why. Amazon Warehouse Coming to West Philly? We've been keeping tabs on the building at 4100 Chestnut St. over the years, first bringing it to your attention back in 2011. 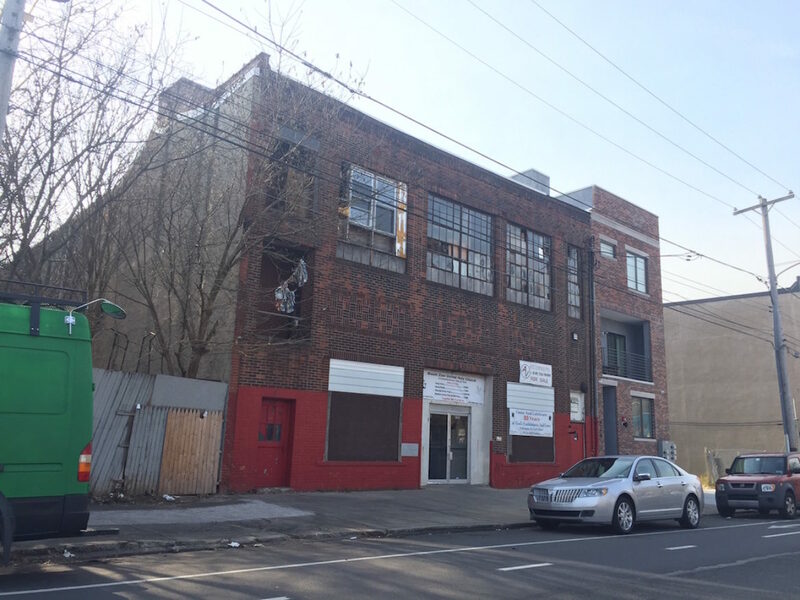 At that time, we noted that student housing player Campus Apartments had purchased the building, with longtime occupant Graphic Arts Inc. moving their operations to Port Richmond. The property is huge, with about 35K sqft of interior space and about the same amount sitting vacant, historically used for parking. 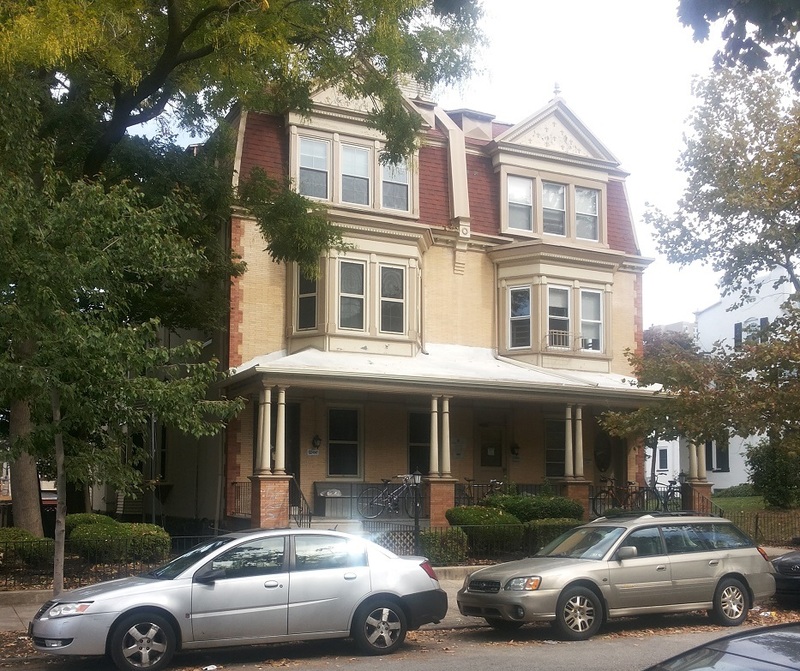 With tremendous bones and a wonderful location to its credit, we wondered what would eventually fill this property. 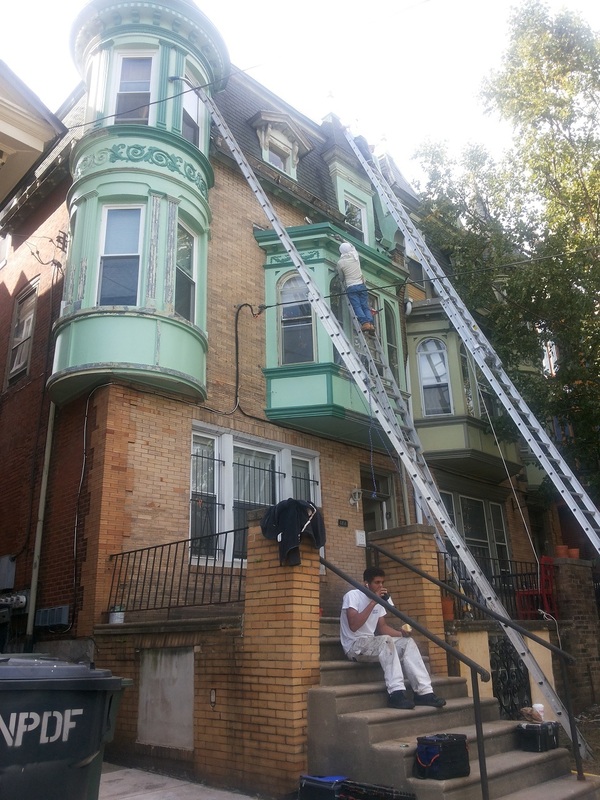 We checked in again on the property during the summer of 2013, noting that some of it was looking worse for the wear but other parts of the exterior had clearly undergone renovation. 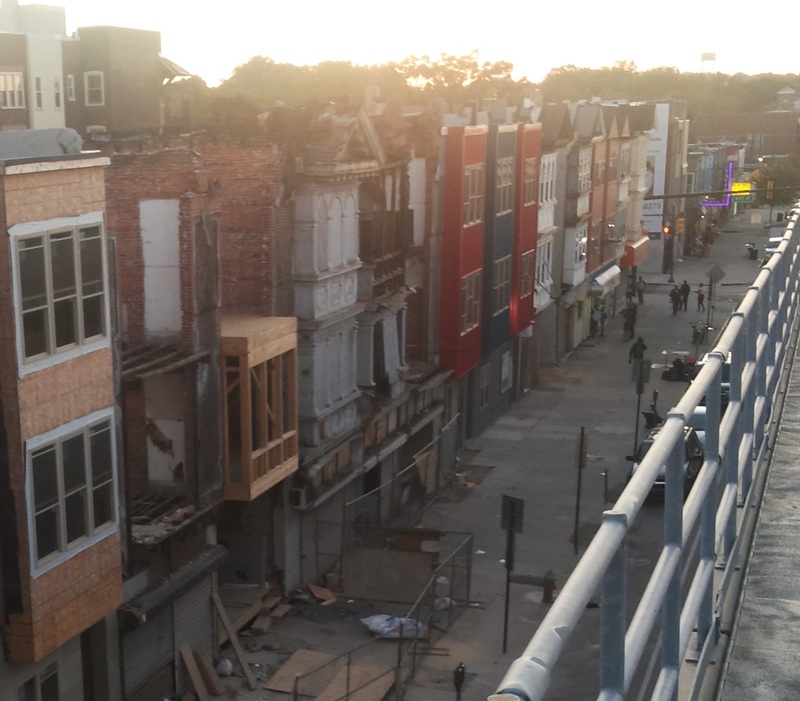 We noted that the owners of the property had a plan to build high rises on the vacant section of the parcel, but as you can see in the photo above that has not happened. As for the inside of the building, we're pretty sure not much has happened either. But a couple readers have reached out lately, letting us know that work has indeed been happening inside. And the expected tenant was quite a surprise. It's too small! They may just use it for their bookstore or Amazon fresh dist hub. If Amazon opens their first warehouse in Philly, then anything subject to sales tax will go up 2% for Philly residents. Currently Philly residents only pay 6% sales tax since Amazon has warehouses in PA, but not in the city. I'm not thinking it has enough square footage either way but just making the tax implications known. Campus Apts practically is Penn. 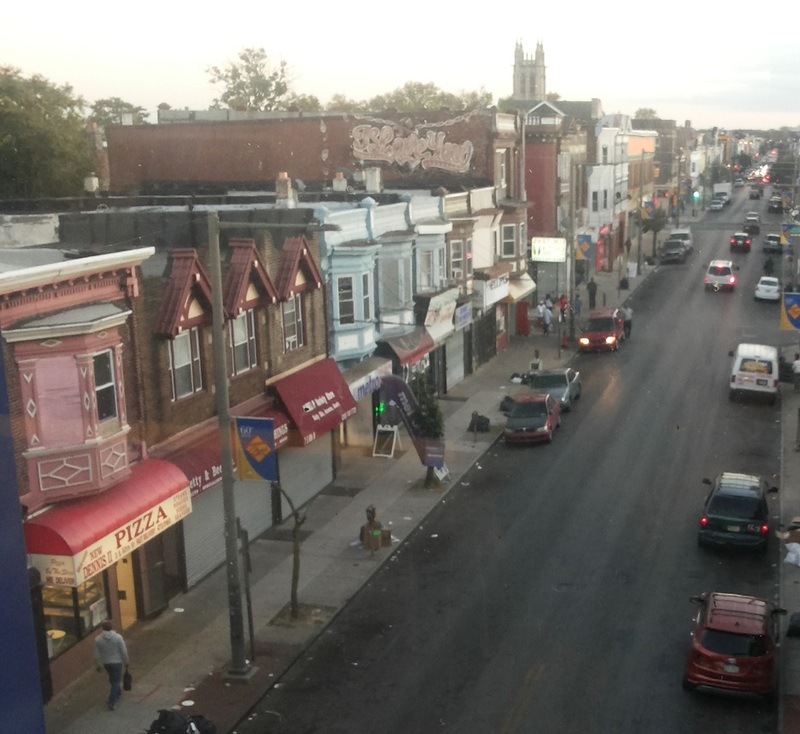 Penn has sworn on it's mother's grave to every west philly community org it will never expand past 40th in return for carte blanche to the east. 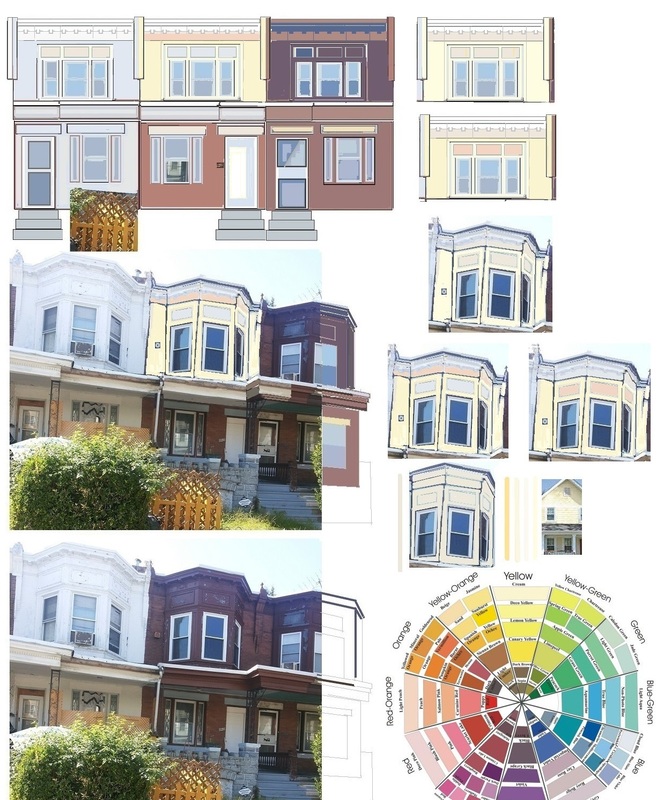 Don't continue being surprised as mcpenntrification is now being implemented by the "private sector"
According to West Philly Local, the project will take about ten months (& $2 million) to complete. For the 5,000 people that embark or disembark at this station, and the 60K people that pass through on a daily basis, the station will continue to be open to pedestrians and the trains should operate on a normal schedule. We do have a funny feeling that once the portal renovation is done, ridership numbers will rise by a tick or two. 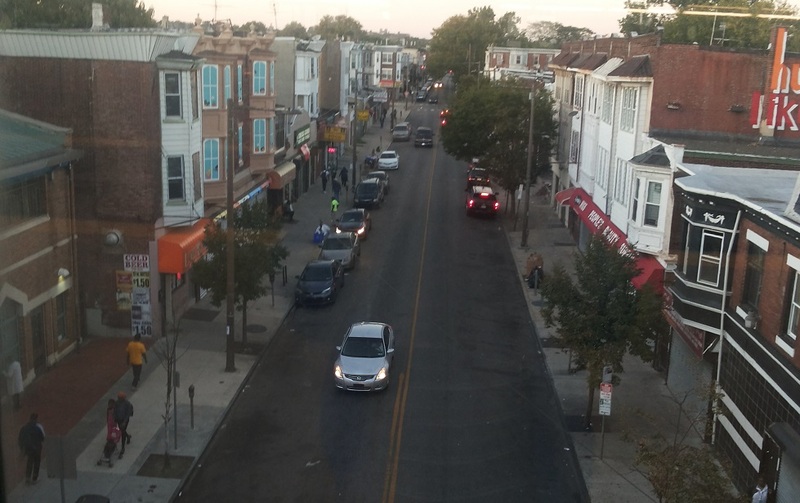 This certainly sounds like a win for UCD, Septa, the neighborhood, and the environment. I like the fact that they have given some thought to needs of those who bike. Rendering of the 30th Street Station Plaza redesign concept. 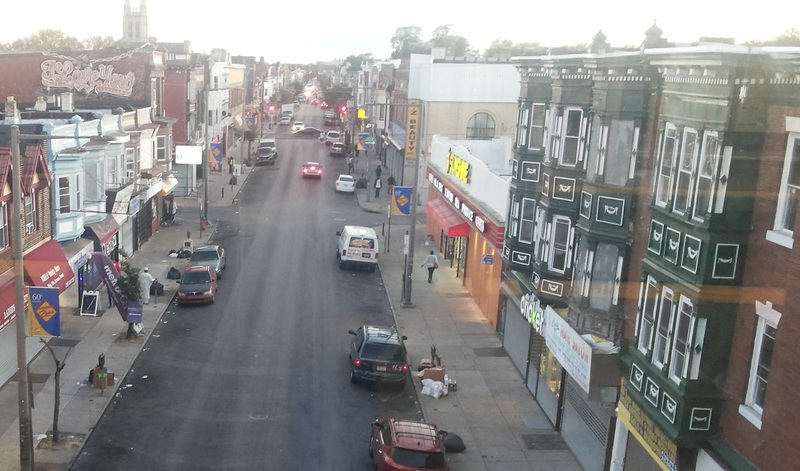 At a public Open House held earlier this month at 30th Street Station, Amtrak presented its design concept for Station Plaza, one of the more visible projects of the widely publicized 30th Street Station District Plan. Information boards were available at the Open House to help the public better understand the vision of the District Plan and Station Plaza design concepts. The public had an opportunity to fill out a station plaza survey. Those who didn’t attend the Open House but want to provide their feedback on the project can do so through an online survey. Parkside Edge is the first of a $11 million, three-phase project called Centennial Commons, a vision of Fairmount Park Conservancy and the city’s parks and recreation department to transform and reactivate West Fairmount Park with new play spaces and amenities. The project aims to reactivate the stretch of Parkside Avenue from 41st Street to West Memorial Hall Drive with large swinging chairs, seating, rain gardens, and five acres of stormwater management. After breaking ground this spring, construction on the first phase is expected to finish later this fall. 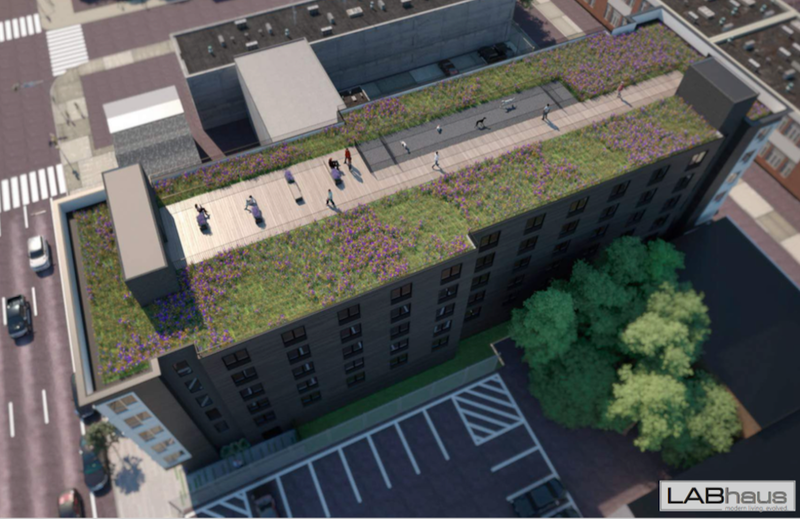 After officially breaking ground last December, actual construction work began in June at the future Trolley Portal Gardens site at the 40th Street Trolley Station in University City. The project involves transforming the concrete-heavy trolley station into a more welcoming public space with a restaurant. The public space, designed by Andropogon Associates, will be softened with more generous landscaping and vegetation. It’s expected to open in spring of 2018. Currently in the design phase, this proposed Schuylkill River Trail along the west banks would run from Bartram’s Garden to Passyunk Avenue, ending with a riverfront park. The first phase would only include the trail from 56th to 61st Street, followed by the park during the second phase. The tentative opening is scheduled for 2019. 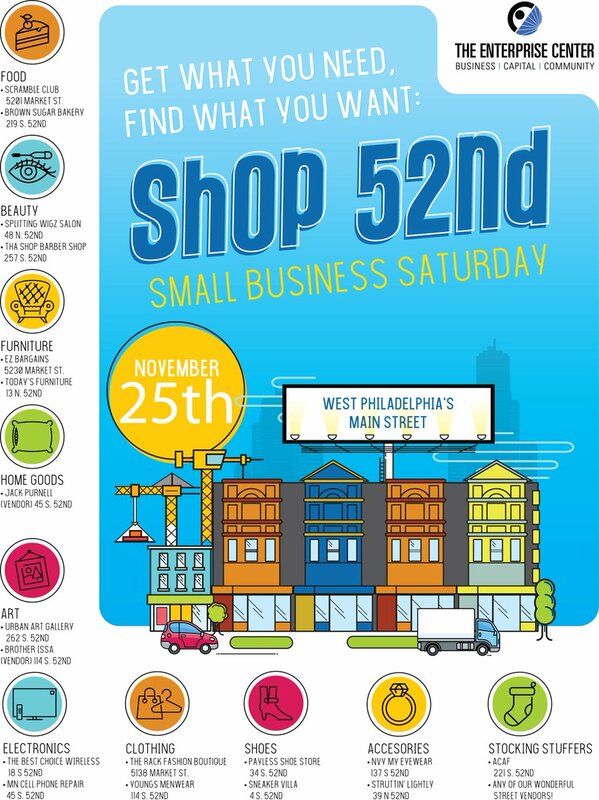 It will take 35 years to implement the full $6.3 billion 30th Street Station District Plan. But when all is said and done, 40 acres of new green space will be added to the neighborhood, from parks to pedestrian-only bridges across the Schuylkill River. Most recently, Amtrak hosted an open house for its first planned public space Station Plaza, which will wrap around the south- and east-facing sides of 30th Street Station. 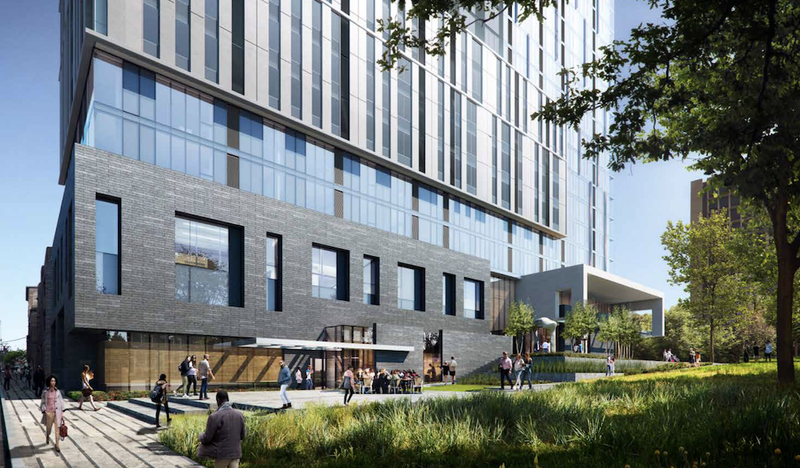 This $1 billion mixed-use project in University City will eventually be home to multiple towers and two parks: First, a yet-to-be-named park outside of the 14-story 3675 Market Street, which is being envisioned as a connecting link between Penn and Drexel to the residential neighborhoods like Powelton Village. The other park, dubbed uCity Square and designed by OLIN, will be located on the former site of University City High School and is expected to be the same size as the plaza at Comcast Tower. In the meantime, University City District has designed a pop-up meadow at the construction site. 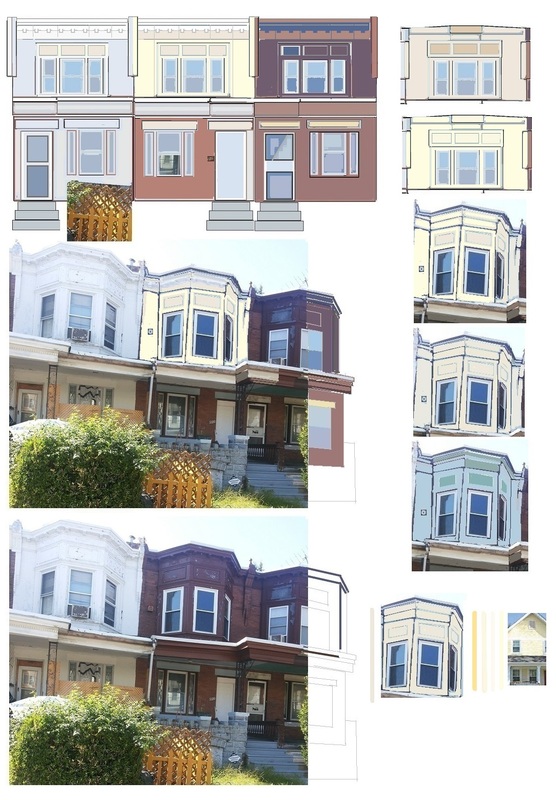 Could this be a Breakthrough in Westward gentrification of Baltimore Avenue? We were so excited when we saw a zoning notice on the fence next to the easternmost vacant building, thrilled by the possibility that the zoning notice might also pertain to the building. Alas, it doesn’t. 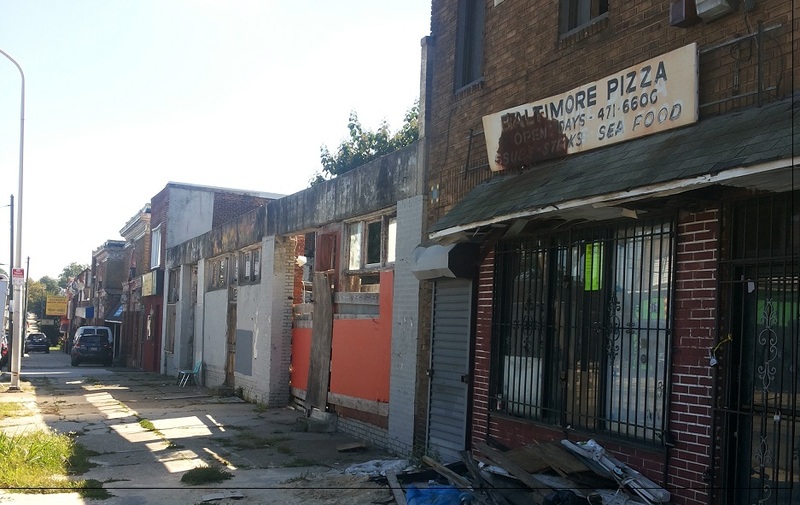 The zoning notice only applies to 5047 Baltimore Ave., where developers are looking to build a mixed-use building with three apartments and ground floor retail, similar to the new building down the block. 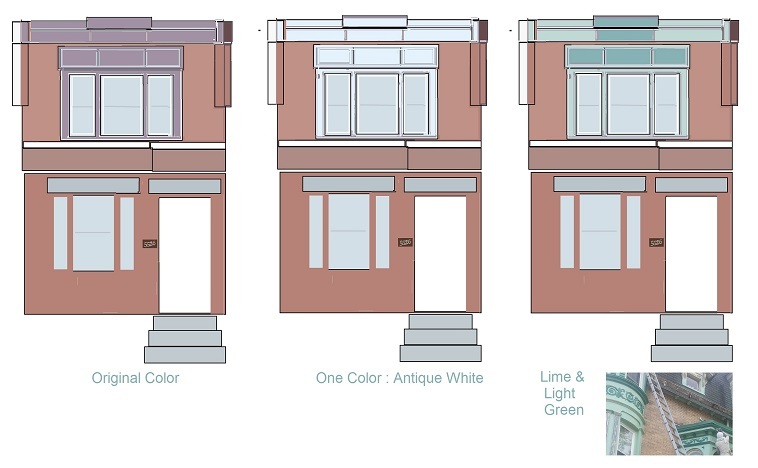 Since that project didn’t seem to hurt anyone, we’re optimistic this one will get approved by the ZBA. The new building will replace a car wash, Wash N'Lube. As announced by Vaughan Buckley of Vaugh Buckley Construction, and Sara-Ann Logan of LABhaus. The present one-storey building will come down. 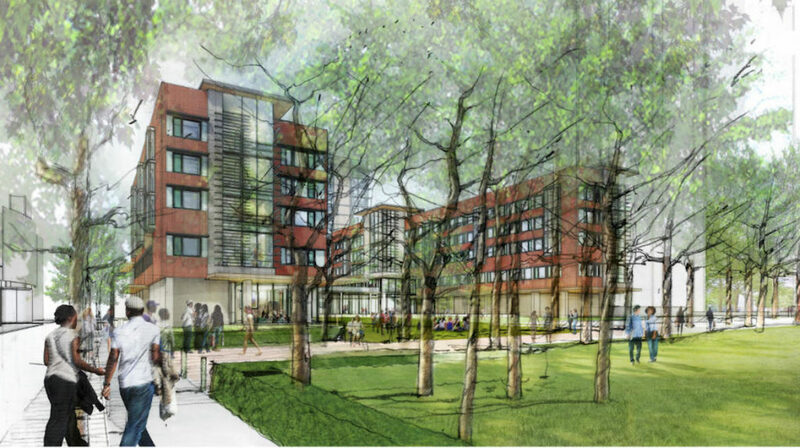 The new building will have 21-units, and be a 21 BR unit. "CHOP is creating 50,000 new jobs," a friendly agent told us, in one of the conversations we are having. The number sounds too high by 2X-3X or more. But it is true that CHOP is now hiring staff, and this may be one of the important things fueling demand for new properties in West Philly. 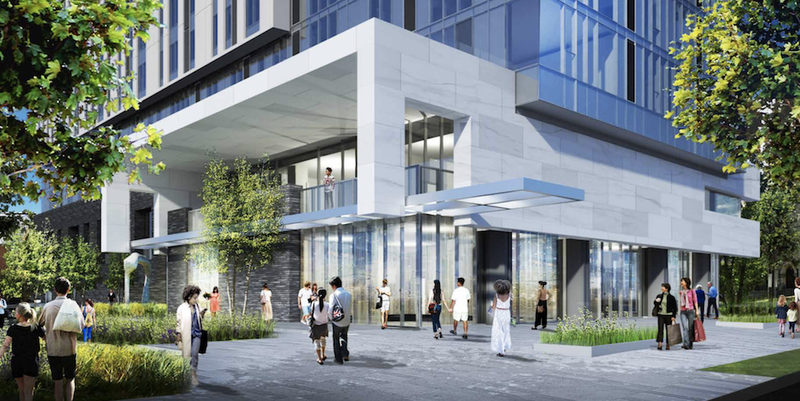 According to several sources, three 26-story towers are planned on Schuylkill Avenue to be completed in phases by 2017. 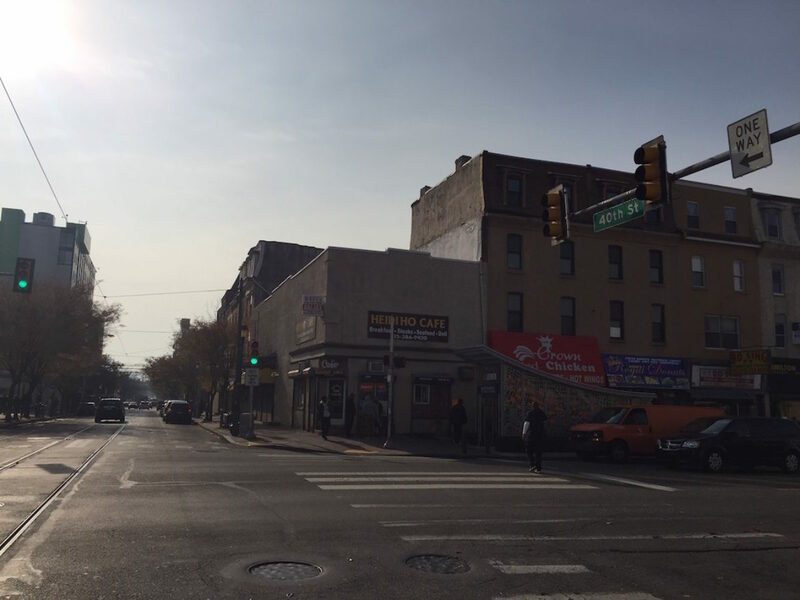 The current plan is to remove the JFK Vocational School and Springfield Beer Distributor on Schuylkill Avenue. The hospital has hired a consultant for the planning of traffic in the area as the location is not suitable for a high volume of traffic. 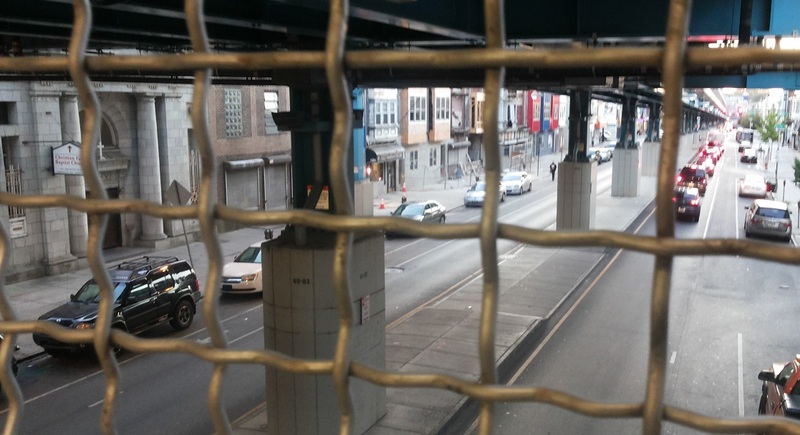 60th Street Station on the MFL / Market Frankford Line - Area upgrading? What to do with THIS property? 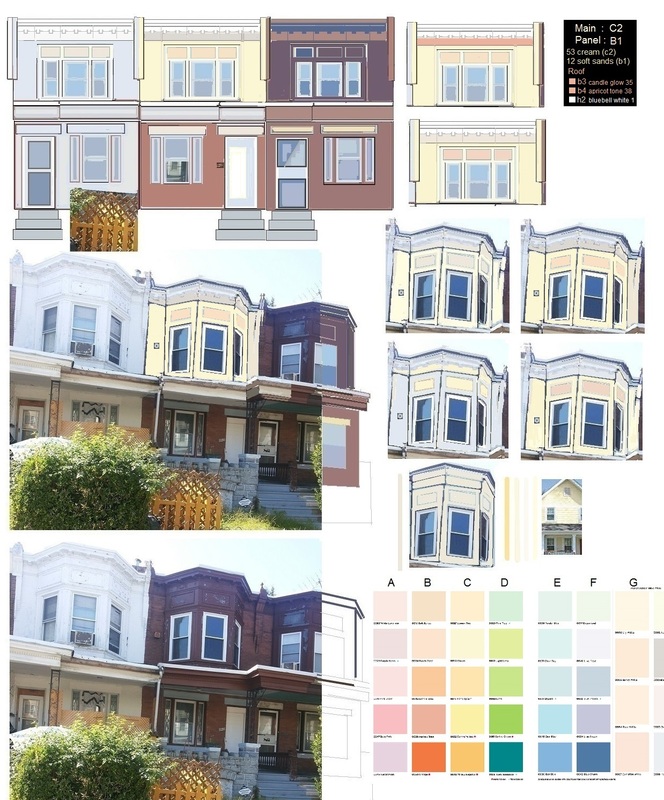 45th Street, near Osage St.
with his architectural illustration series, Unlisted Philadelphia. 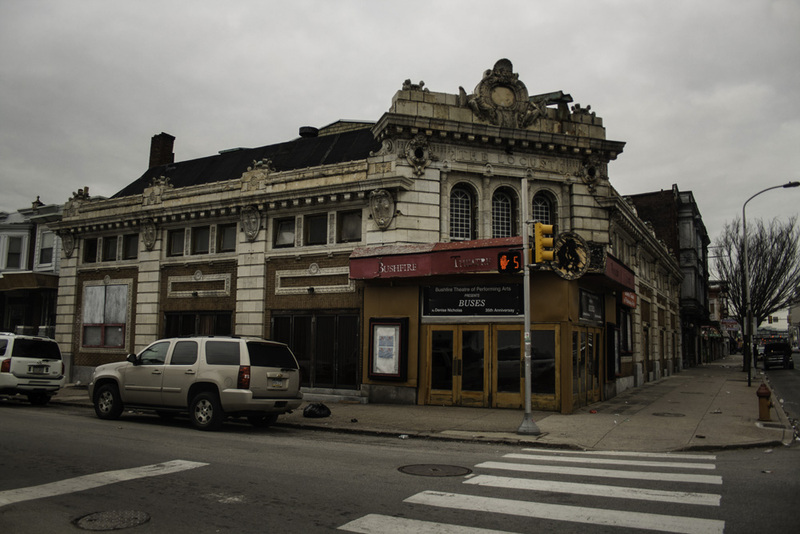 Philadelphia once boasted more than 400 movie theaters. Only 135 or so still stand. 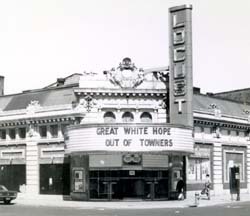 Of those, few can match the show-stopping charm of the former Locust Theatre at 52nd and Locust Streets. Draped in terracotta and studded with incandescent light bulbs (look closely and you’ll see many still screwed in place), the Locust opened as a vaudeville and silent movie house in 1914. Since 1977, it has been home to the Bushfire Theatre of Performing Arts. 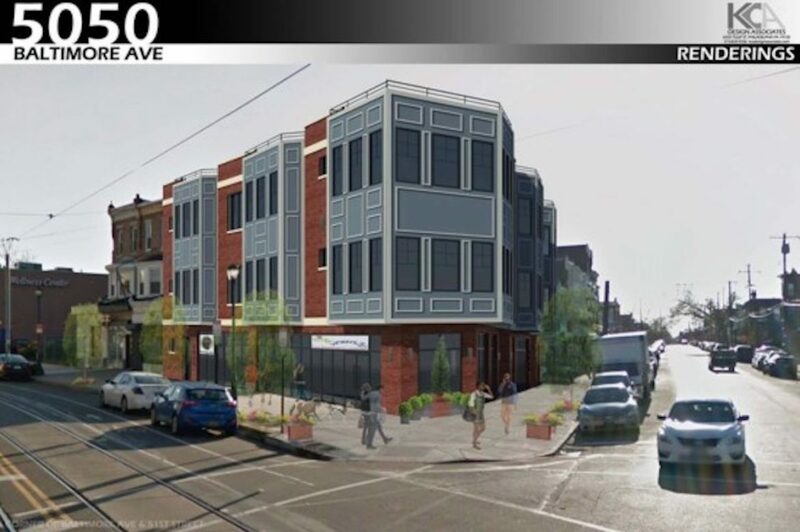 Artist's rendering of New Market West project proposed for the 5900 block of Market Street in West Philadelphia by Mission First Housing Group. 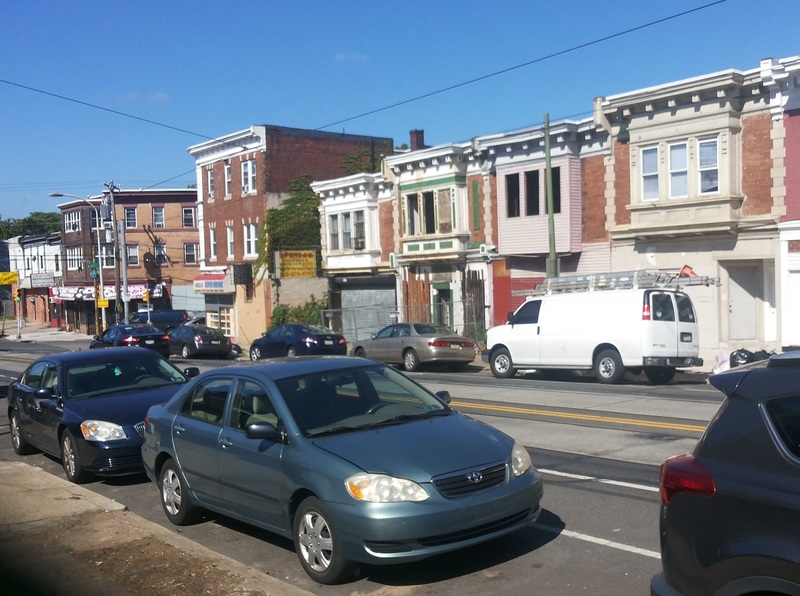 Affordable housing developer Mission First Housing group is planning a complex of apartments, shops, offices and early learning classrooms that will cover an entire West Philadelphia block at 59th and Market Streets. 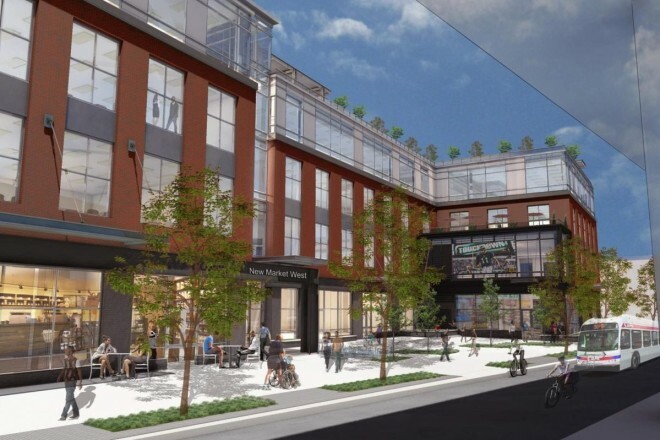 The New Market West project is to include 41 dwelling units, nearly 68,000 square feet of office space, 13,700 square feet of ground-floor retail and a 10,000-square-foot early childhood education center, as well as a 3,700-square-foot community room, according to a presentation posted online Wednesday to the website of Philadelphia’s Civic Design Review board. Commercial tenants are to include social services provider ACHIEVEability, which plans to move from its existing location on 60th Street, north of Market Street, said Mark Deitcher, Mission First’s business development director. Narberth-based Montgomery Early Learning Centers chief executive Ann O’Brien said her company is in talks with the developer to occupy the classroom space. to raze a carwash and build a six-story apartment building with office space on the first floor. The units will cover 66,749 square feet. Barrier (to SW improvement) to transform? Former Apple Storage facility at 780 S. 52nd St (Google Street View image). The real estate development firm Post Brothers has bought the long vacant Apple Storage facility on South 52nd Street and plans to build a 153-unit residential building. 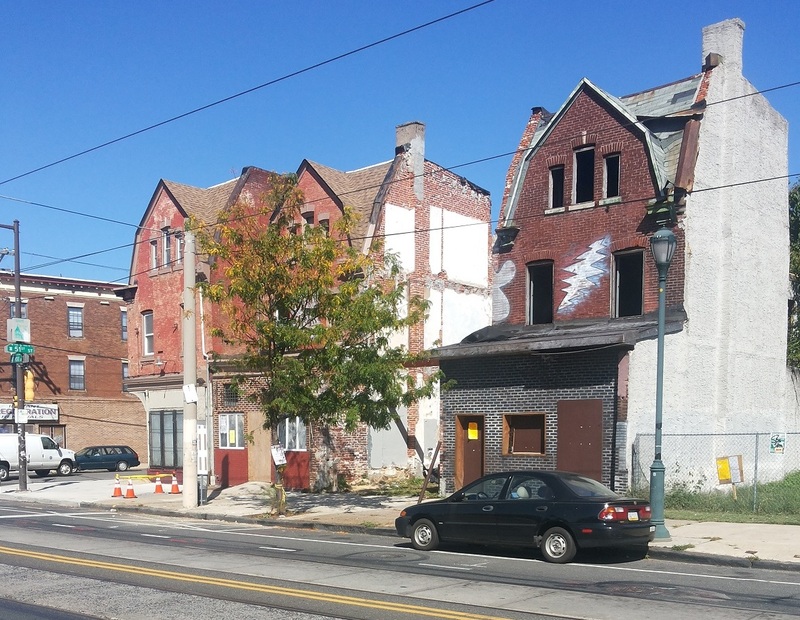 Philly.com reported that the Post Brothers, which has acquired several buildings in recent years including The Netherlands at 4300 Chestnut, Hamilton Court at 3800 Chestnut, and Garden Court Plaza, paid $2.4 million for the hulking shell at 780 S. 52nd St., a couple blocks south of Baltimore Avenue. 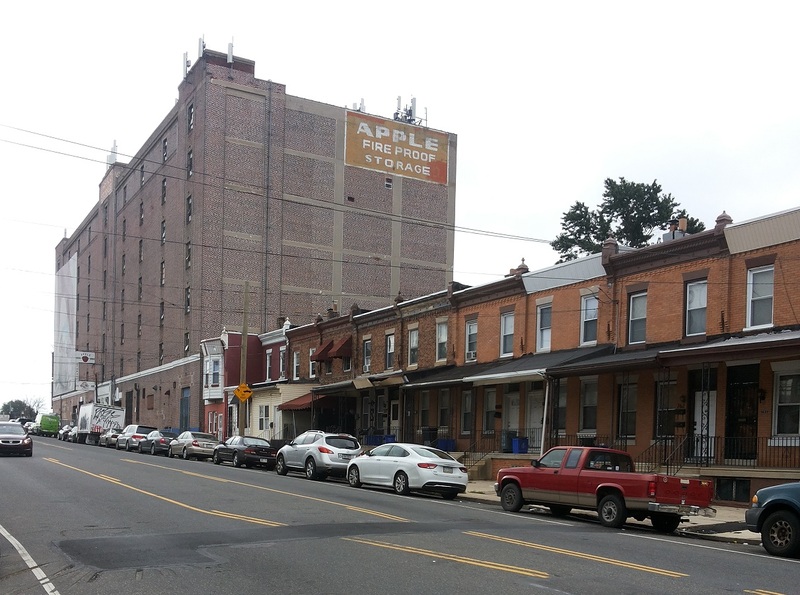 That price reflects the fact that the zoning approval had already been granted in 2012 for “Apple Lofts,” a residential housing proposal that drew mostly praise but prompted discussions about gentrification. A zoning permit approved last week expanded the proposed project from 112 to 153 units and commercial space. The original zoning permit also includes 92 “accessory” parking spaces. People think that is too many units. Will they be very small flats? 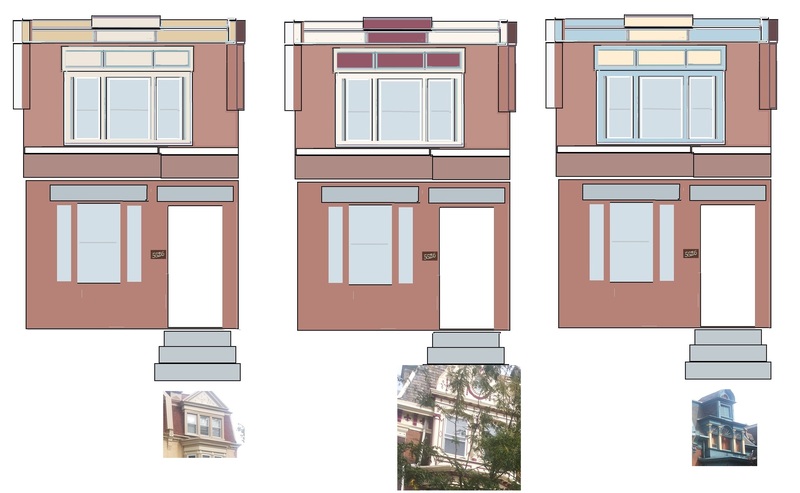 We were perusing the ZBA calendar the other day and discovered that 4108 Haverford Ave. is tabbed for redevelopment. Garden Court Flats rendering image, view from Pine Street. Philadelphia-based developers the Post Brothers, the new owners of the Garden Court Plaza located at 47th and Pine, are proposing development of a new six-story 243-unit apartment complex, Garden Court Flats, which would be built on top of the existing one-story parking garage adjacent to the 14-story Garden Court Plaza building. The development plan was submitted to the city’s Department of Licences and Inspections, but was rejected for not conforming to the zoning code. A crowd of about 70 people gathered to hear about a proposed 243-unit addition to the Garden Court Plaza complex on the 4700 block of Pine Street voted overwhelmingly against the plan. 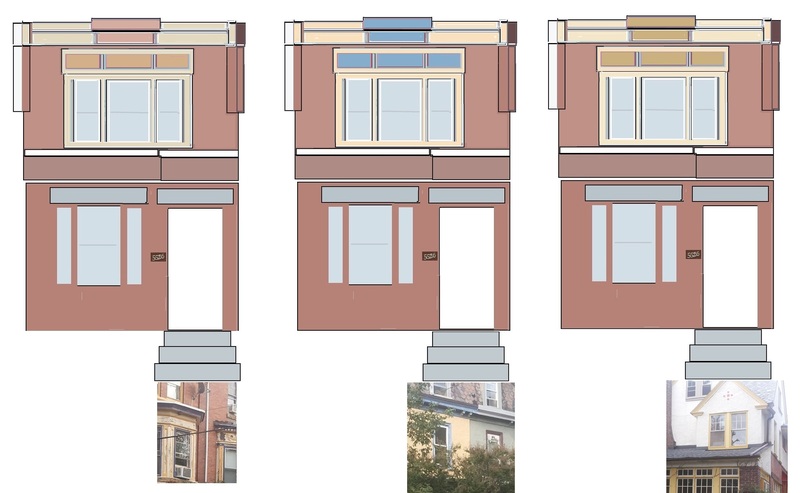 Proposed building rendering (view from Pine Street). The Post Bros. have placed their zoning application for a 243-unit addition to Garden Court Plaza at 4701 Pine St. on hold following a public meeting last week, according to the Garden Court Community Association. A large majority of the approximately 70 people in attendance opposed the plan, which requires special zoning approval from the city. Public comment is factored into that decision. 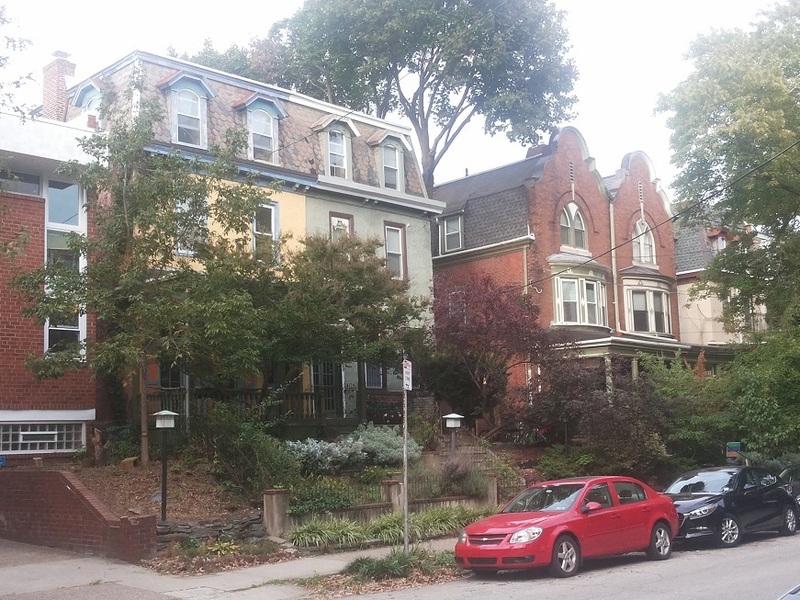 Much of the opposition focused on the availability of affordable housing and parking. 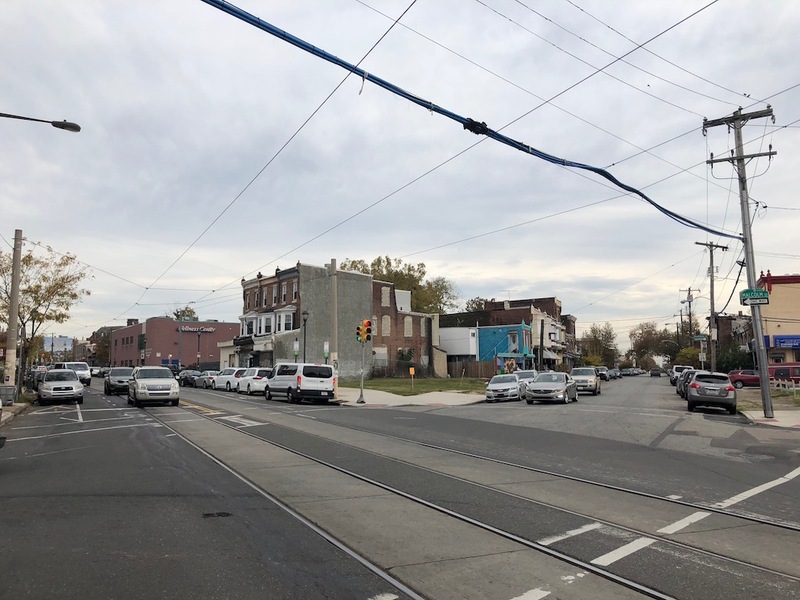 West Philadelphia residents are invited to discuss the proposed development of the former Provident Mutual Life Insurance campus at 46th and Market this Tuesday, Dec. 10, at West Philadelphia High School (49th and Chestnut). The meeting has been organized by Councilwoman Jannie Blackwell, who has expressed her concern over the way the City, which owns the 15-acre property at 4601 Market, is handling the campus’s sale and proposed development. Iron Stone was named as a future developer of the building a few months ago after aselection process that took approximately a year. 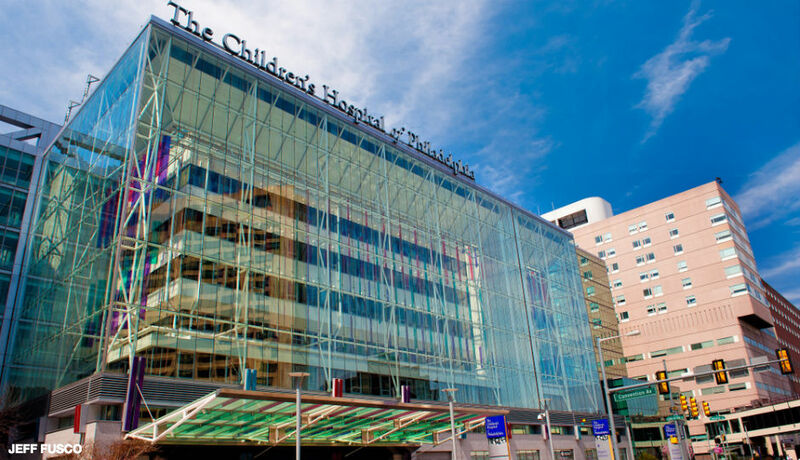 The Philadelphia-based real estate company is planning to transform the building and the surrounding land into a public health campus. 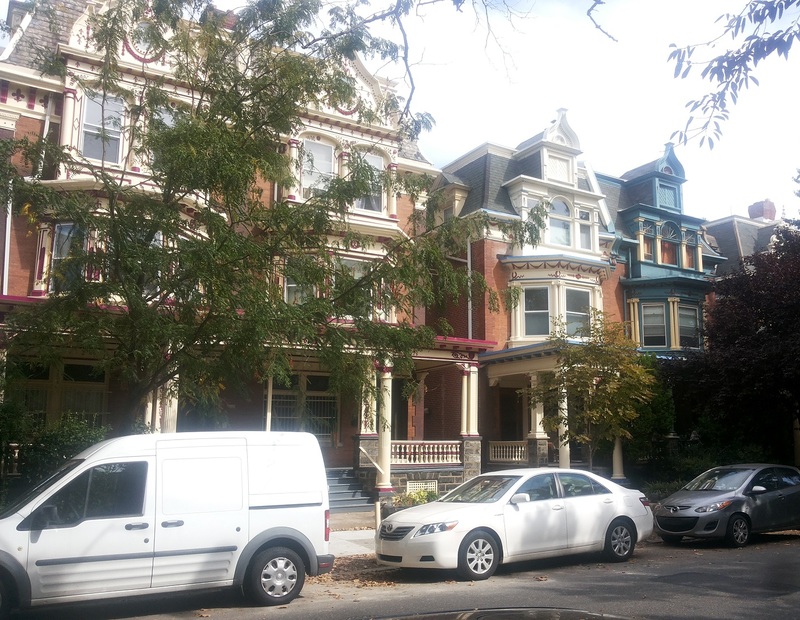 Changes at Temple and Drexel over the last couple decades have had a dramatic impact on their surrounding neighborhoods. Both schools have seen enrollment rise and at Temple, the number of commuting students has dropped considerably. 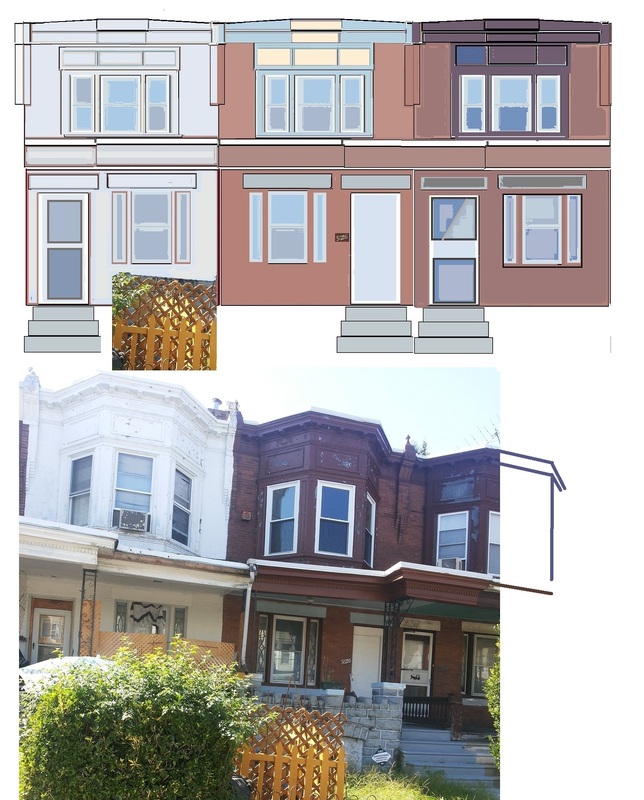 As such, we’ve seen a ton of student housing construction occur on and around both campuses, transforming swaths of North Philadelphia and Mantua, respectively. At Penn, meanwhile, we’re fairly certain that the student body is roughly the same size as it was twenty years ago, with about 25,000 total students, with a bit less than half of that population being undergrads. 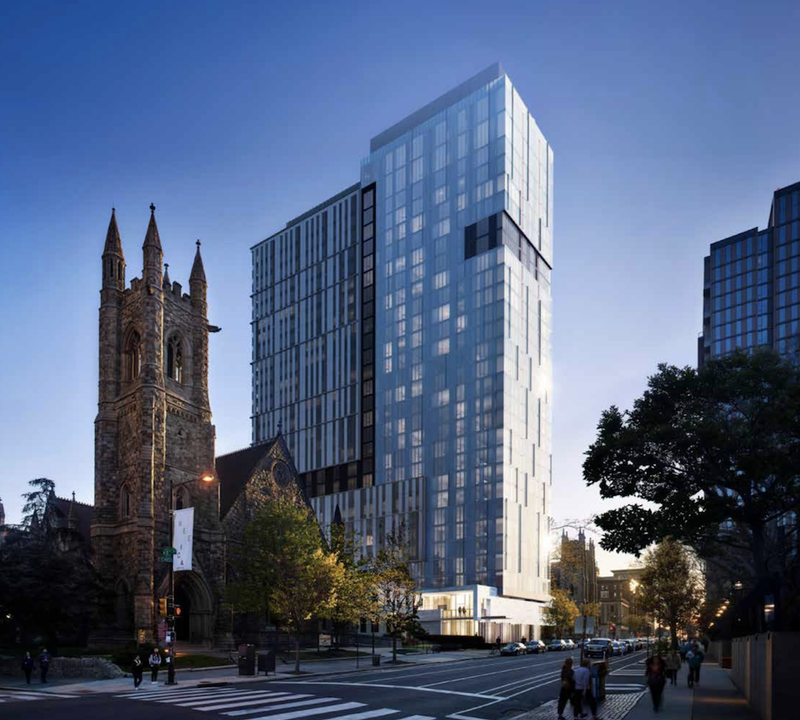 And yet Penn’s campus and the nearby neighborhood have also seen a huge jump in new construction, ranging from dorms built by the university to apartment buildings large and small from private developers. 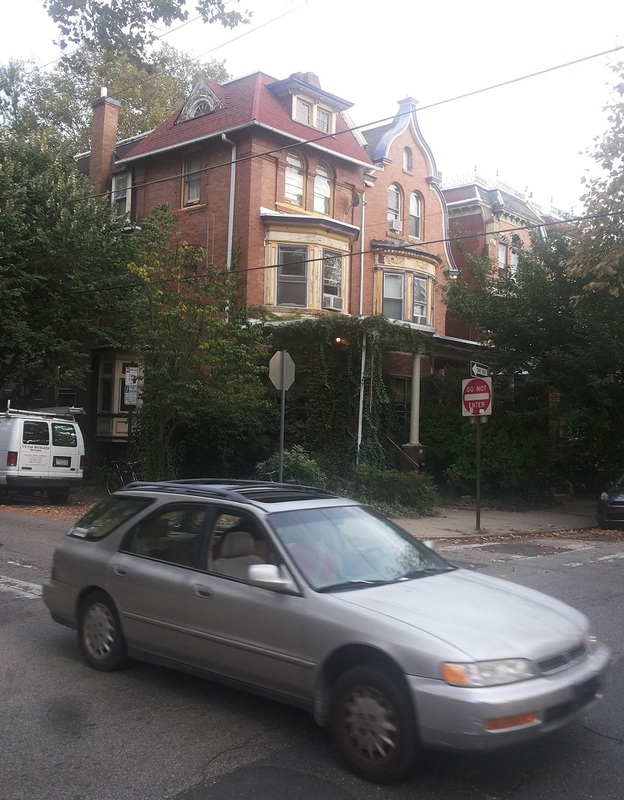 It stands to reason then, that these units, which seem like they would be targeting students, are instead looking to appeal to a broader population that’s simply looking to live close to Penn. We should mention that this building is rising 100% by right, due to the permissive CMX-4 zoning of the property. 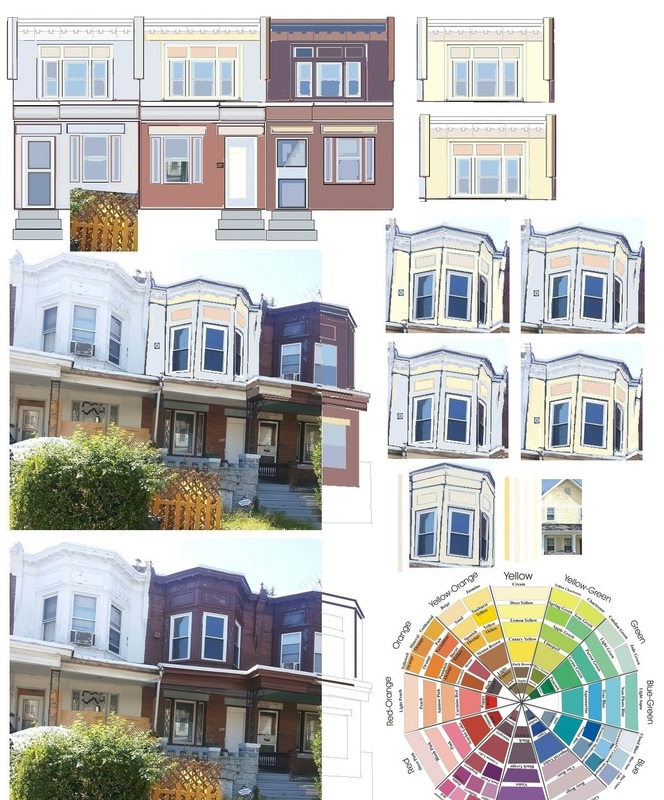 Unlike so many other West Philly apartment buildings, this project is fortunately replacing a rather blah building which nobody would have argued to preserve. With several other parcels on surrounding blocks possessing similarly flexible zoning, we don’t know that we’ll be able to say the same for the next project that comes down the pike in this neck of the woods. And make no mistake, more projects are surely coming. 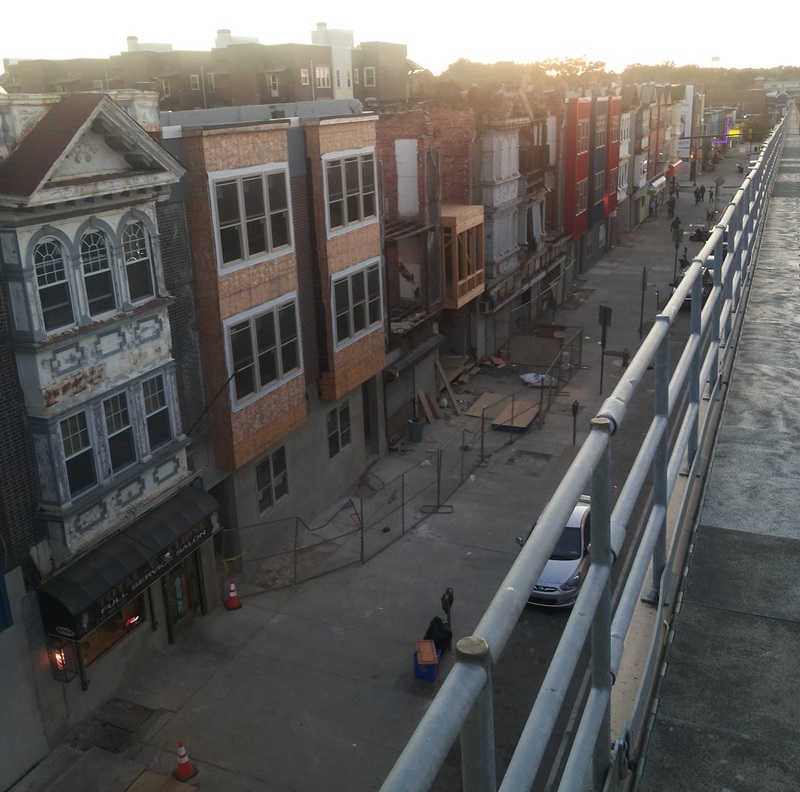 Whether it’s students, young professionals at University City Science Center, or anybody else, the pace of construction in this part of town is an indication that people want to live in West Philadelphia more than ever. Expect developers to give the people what they want.